Early in high school, Don decided to be an accountant. After graduating from college with a major in accounting, he joined an international accounting firm’s Chicago office in their Small Business division. He became a senior manager there specializing in audits, reviews, consulting, and tax matters of closely held businesses and the tax issues of the owners. While at this firm, Don worked with Bob Pasquesi. In 1975, Don and Bob started a firm that would promote closer contact, more rapport and more concern with our clients along with exceptional professional services. Audits, reviews, compilations, and tax returns of businesses, trusts and individuals comprise a major part of Don’s practice. Other areas of the practice are often more crucial to client’s needs. These include assistance in starting a new business with projections and consulting advice, income tax planning for them personally and for their business as their business grows, consulting on accounting and business issues that arise, assistance in purchasing another business or selling their business, and estate planning and succession planning so the Company can be continued by the next generation. Don believes that the key is to establish confidence and a rapport with a client so challenges can be solved together. Don serves on the Board of Directors of several organizations. Don is a Certified Public Accountant and Financial Planner. 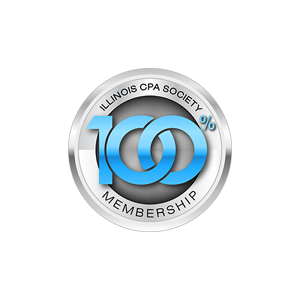 He is a member of the American Institute of CPAs and the Illinois CPA Society. Don holds a Bachelor degree in Accounting from St. Louis University. Don enjoys college basketball and attends Northwestern games in the winter and plays mediocre golf in the summer. He and Barbara, his wife live in Lake Forest.